L: The rescue of Capt. Richard Phillips on April 13, 2009 in the Indian Ocean. R: Actor Tom Hanks will star as Phillips in an upcoming movie. Tom Hanks is headed to Virginia to film a new movie about real-life pirates. "Captain Phillips," due for a 2013 release by Columbia Pictures, is based on a real-life story that has all the makings of a Hollywood movie: pirates, gunfire, hostages, you name it. In April 2009, Richard Phillips was serving as captain of a cargo ship for the World Food Program when his ship was overtaken by Somali pirates. Phillips offered himself as a hostage, and faced a five-day standoff that only ended with a rescue by gun-toting Navy SEALs. 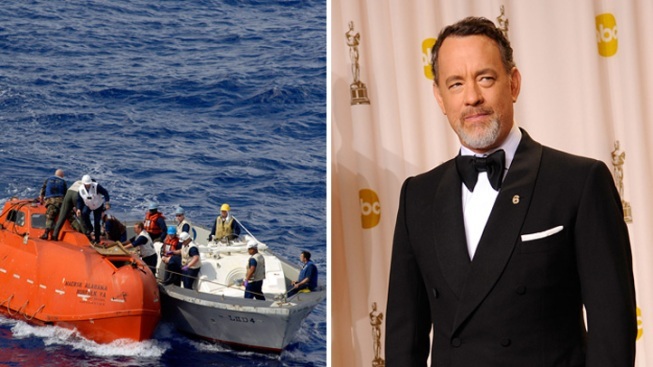 He told his story in the book "A Captain's Duty: Somali Pirates, Navy SEALs, and Dangerous Days at Sea," on which the upcoming Hanks flick is based. Hanks will portray Richard Phillips, with Catherine Keener as his wife, Andrea. Paul Greengrass ("United 93," "The Bourne Ultimatum") directs. 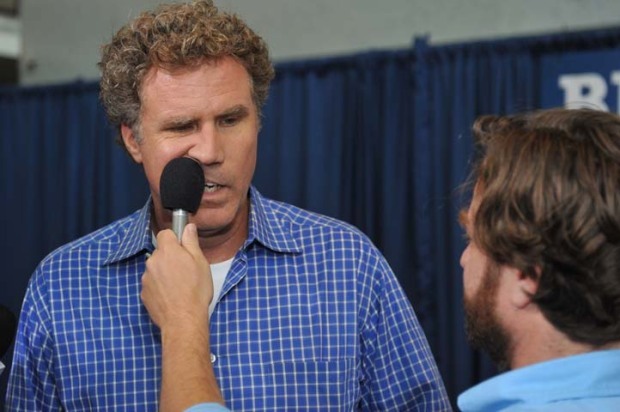 "For its proximity and accessibility to the Atlantic Ocean, and as a vital base for the U.S. Navy, we look forward to filming in Virginia," Greenglass said. The movie is also eligible to receive a $300,000 grant from the Governor's Motion Picture Opportunity Fund, Va. Gov. Bob McDonnell announced Wednesday. This isn't the first time Hanks has worked in Virginia. He served as executive producer of the HBO miniseries "John Adams," which shot some scenes in Colonial Williamsburg and Richmond.